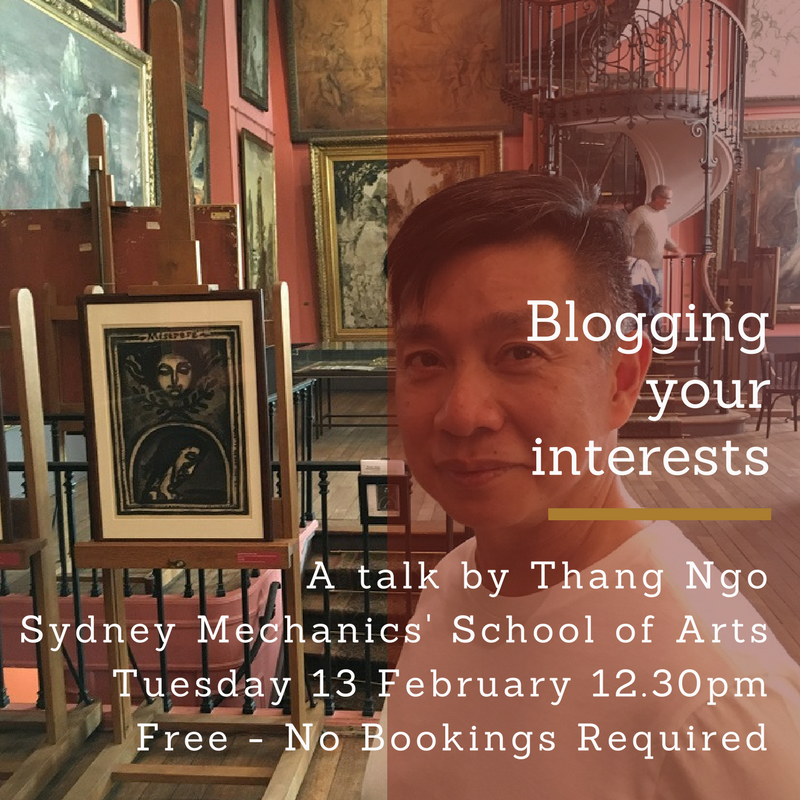 Thang Ngo — Blogging Your Interests Tuesday, 13 February 2018, 12:30pm at the Sydney Mechanics' School of Arts - FREE! My own wonderful life partner Thang Ngo is giving a talk at the Sydney Mechanics' School of Arts in February that should interest all who want to document their travels. We all have something we’re passionate about. Our interests can be as diverse as politics, food, fashion, music, gardening and more. Blogging is a way of sharing your passion with the world and engaging with others who share your interests. Well-known food blogger Thang Ngo will reveal how to use your passion to build an engaged community through blogging. Learn tips, tricks and tactics for starting a successful blog and finding your niche, in addition to strategies for maintaining your motivation and building readership. Find out how blogging helps your career by developing your understanding of digital writing and social media. Thang started blogging over 17 years ago as a local government Councillor in Fairfield to engage with constituents. In 2009, he started a food blog to celebrate the rich and flavoursome food of migrant eateries in his neighbourhood. Today, Noodlies is one of Australia’s most popular food blogs and is credited with helping fuel the popularity of Asian street food, such as Vietnamese pork rolls.